Blogging has been on the back burner for me these days. Maybe it’s the Christmas season where I just want to lay back and do nothing or that this blogging business has taken a toll on me and I just need a break from it. But whatever it is, there’s still a fire inside that makes me want to keep this going for a little longer. 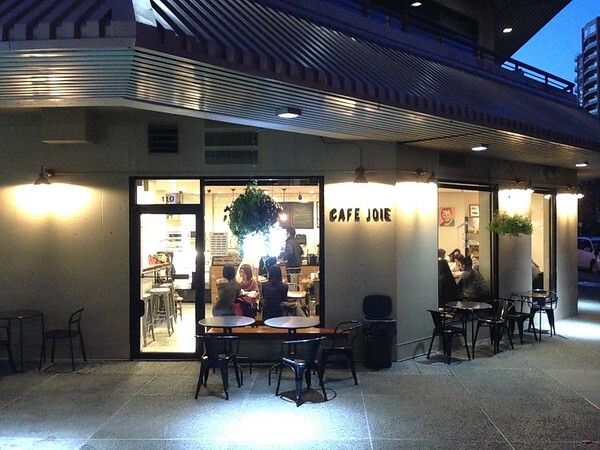 Anyhow, I’m picking “Cafe Joie” to visit today (actually more like visited last month). I’ve heard from several of my friends say, you must try this place! Every time I hear this phrase, I’ve already put an expectation on it that it must be REALLY REALLY GOOD! Well, not a bad thing. It’s just that I’ve given this place in my heart a higher expectation. Anyway back to Cafe Joie, it’s my first time here. This place is right outside of Metropolis and this makes it impossible to find FREE parking. Well, almost! I was lucky to find free parking on the side streets. There’s a few spots that are 2 hours and the rest is just metered parking. Upon walking in, I was surprised how many people are here! It’s almost like a Starbucks but filled with Asians. I’m not sure why all Asians, but I guess this place get its customers through word of mouth. They have a pretty large selection of menu items, wished they’d write bigger so I can actually see the menu. The espresso menu wasn’t cheap. But looking at their espresso machine, I knew I’d be getting a good cup of caffeine. (I don’t know much about espresso machines, but I can definitely tell if it’s a good one.) 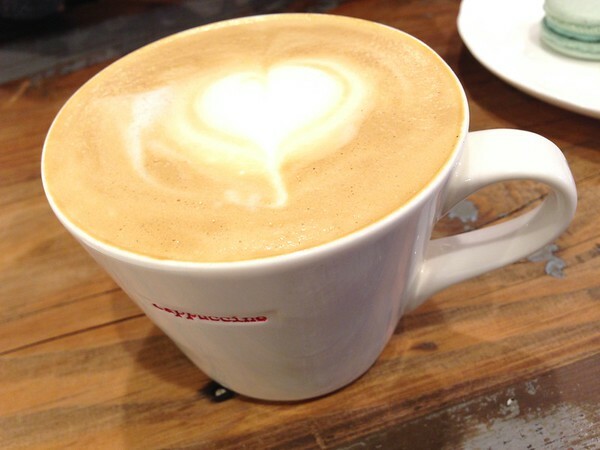 My girlfriend and I shared a Honey Latte. It was too sweet! I definitely tasted the honey, but just too sweet for me (might’ve been better if I had gotten half-sweet). 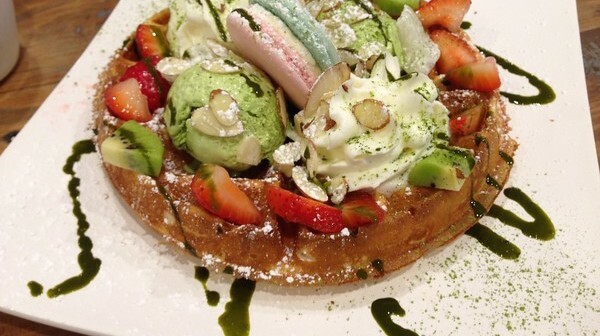 If you have a sweet tooth, this would totally satisfy you. My girlfriend insisted we try their macarons (yes, she’s a macaron lover) and so we did. 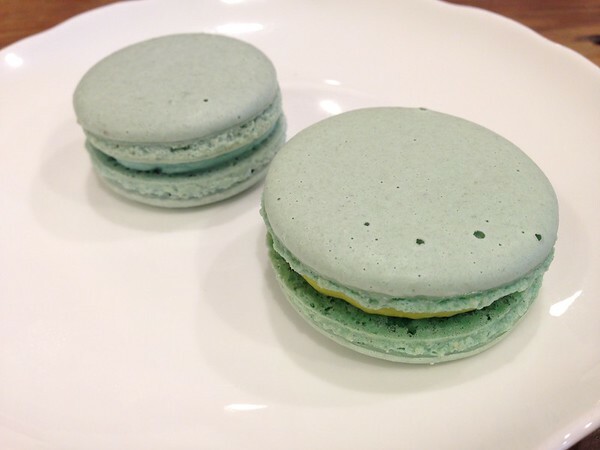 The macarons were alright, not light enough and a bit too sweet for me. It’s like putting sugar in your mouth (literally). I forgot what these flavours were but maybe I’ll fill you in if my girlfriend remembers. We were also told that the waffles here were pretty good here, so we had to try it. 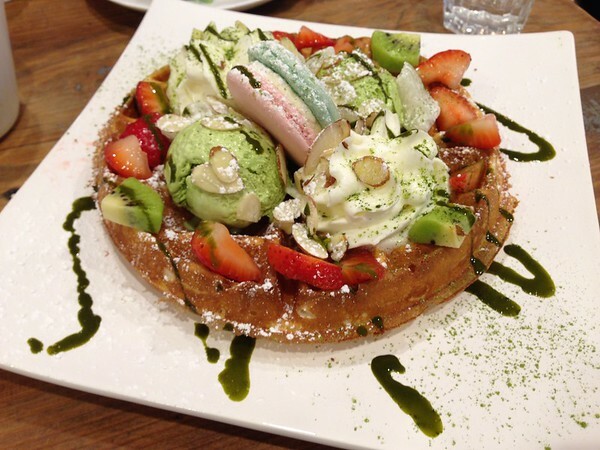 There were several types of waffles, we opted for the fruit waffle with Matcha ice-cream topped with strawberries, kiwi, whipped cream and a macaron drizzled with green tea extract. I liked the waffles here, it was chewy (kind of tasted like bubble egg waffles. The fruits were definitely fresh fruits, but probably not in season as the fruits tasted sour. Overall, this was quite enjoyable. 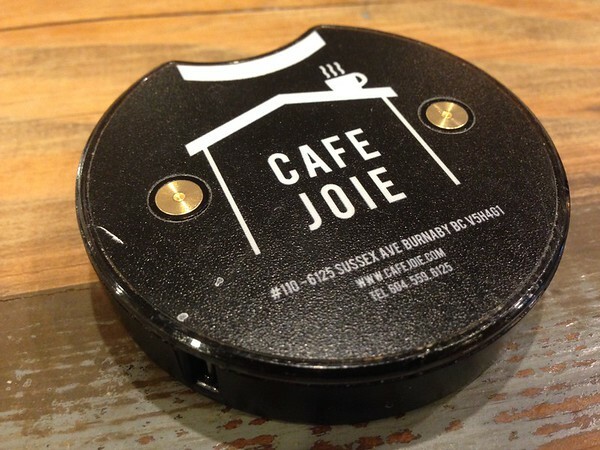 One thing I really liked about Cafe Joie is that it gives you a buzzer when your order is ready, so you don’t have to stand there and wait for your order. (Something you don’t see often in a small cafe like this one.) 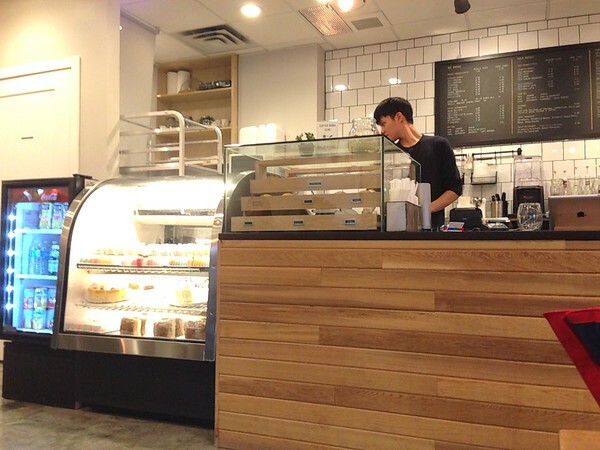 Overall, Cafe Joie was an enjoyable experience. The menu items were priced fair. The ambiance felt bright and awakening. And I would definitely try another of their beverages but probably not spend my money on food.